When enemy's CD reaches 0, if any other enemy has been defeated, enemy will revive them and will not attack. Enemy only receive damage from enchanted shield. Upon entry and after enemy attacks, enemy will marks all Light and Heart runes. If there are any marked rune undissolved, damage received become recovery. Enemy can only be damaged by recovery surplus. Upon entry, enemy converts runes at fixed position to Heart and Light. Enemy convert a random rune type to Heart every turn. When enemy's CD reaches 0, if there are no minions on the field, enemy will summon 2 minions and will not attack. Enemy cannot be damaged when there are minions on the field. Enemy is immune to all damage before it attacks for the first time. Enemy is immune to all control skills. Every time after enemy attacks, enemy's attack doubles, to the max of 32x. From 6th attack onwards, enemy attacks twice in a turn. For 5 turns, rune spinning time is reduced by 5 seconds. Every turn, enemy convert a random rune type to Earth. For every Earth rune dissolved, enemy heal 2% of its HP; For every enchanted Earth rune dissolved, enemy heal 10% of its HP, to the max of 80%. Enemy removes all effects in play upon entry. Enemy marks all runes upon entry and mark all Heart runes every subsequent turn. If there are any marked rune undissolved, damage received become recovery. When enemy attacks, 25% of summoner's HP will be deducted. The more the enemy attacks, the higher the deduction percentage. Charging Condition: Make 4 or more combos. Skill I: 2 random Fire Members' CD - 2. Skill II: After DC activation, convert Fire runes to enchanted Fire runes. Skill III: For 1 turn, Fire ATK + 30%. #3 Overheal vs #5 42k Initial Shield? 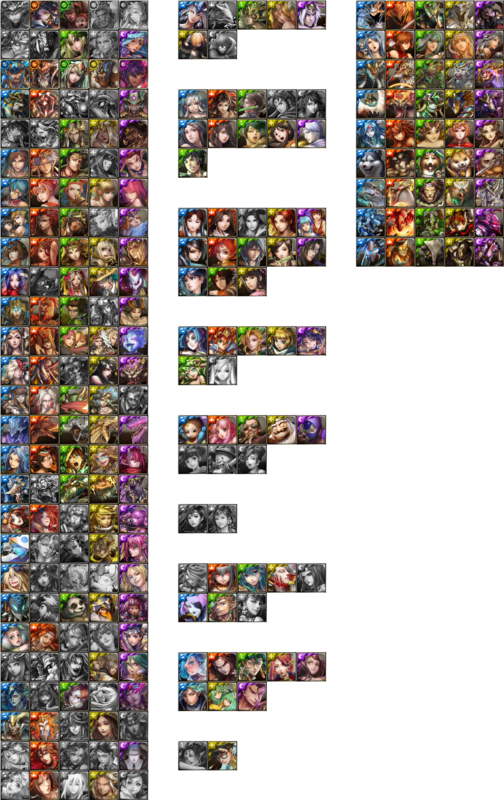 i'm thinking of AoGuang Leader/Ally and Dragons/Gods as members? R5 - Use a craft that can ignore initial shield. R6 - Kill in 2 turns. R7a - Just spin and kill. 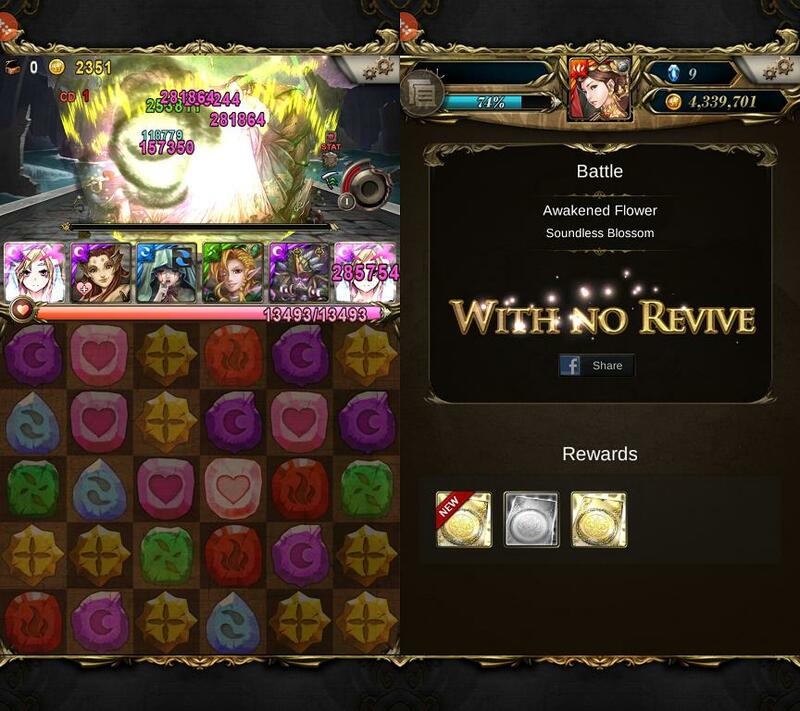 R7b - Use Yog to remove 20 marked runes, for the remaining 10, if heart rune has rune drought, use Randeng. The mono fire achievement is really tricky. Dont have Shuten Doji to go dual. No Piasa or Fire Wine Valkyrie for reduction either. Any ideas? I go blindly with yog 2ml luna nath yog. Thanks to some earlier information, equiped initial shield dc.